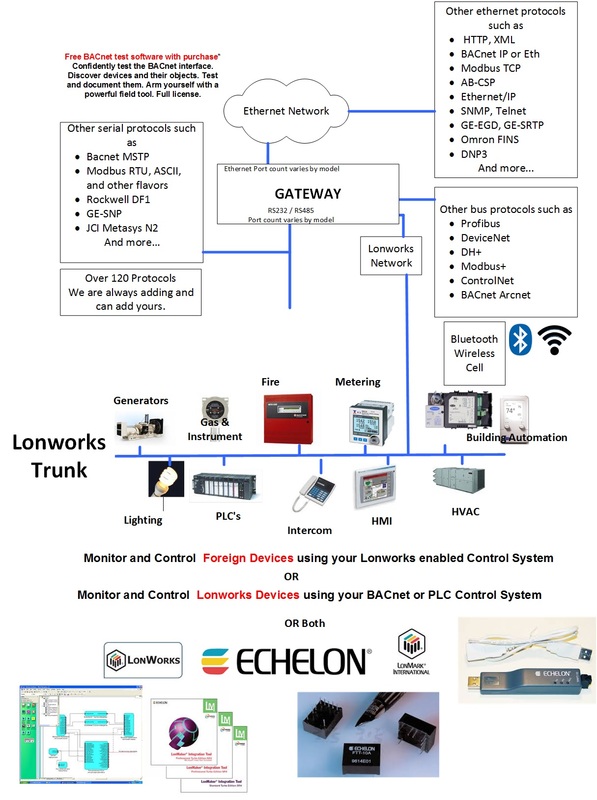 A FieldServer protocol gateway that provides data exchange between LonWorks and TAC INet 2000. 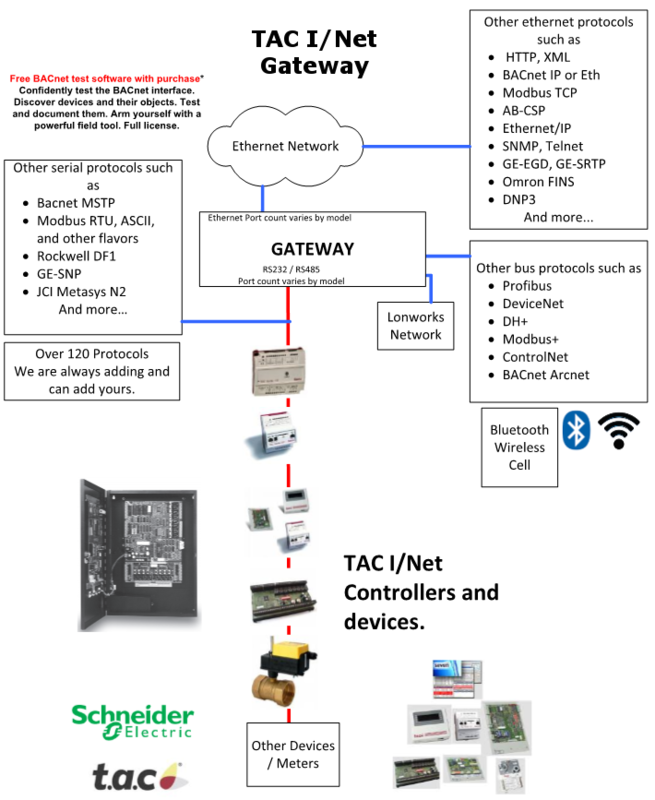 The TAC-I/Net driver allows the FieldServer to transfer data to and from Server and Client devices on a MR LAN over RS-485 using TAC-I/Net driver protocol. 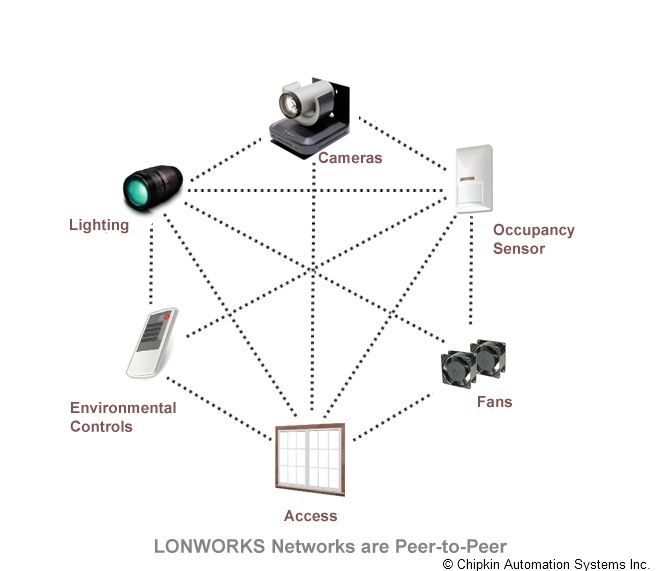 The protocol works over a multidrop RS-485 line and allows only one Client and up to 32 Servers on a network channel. 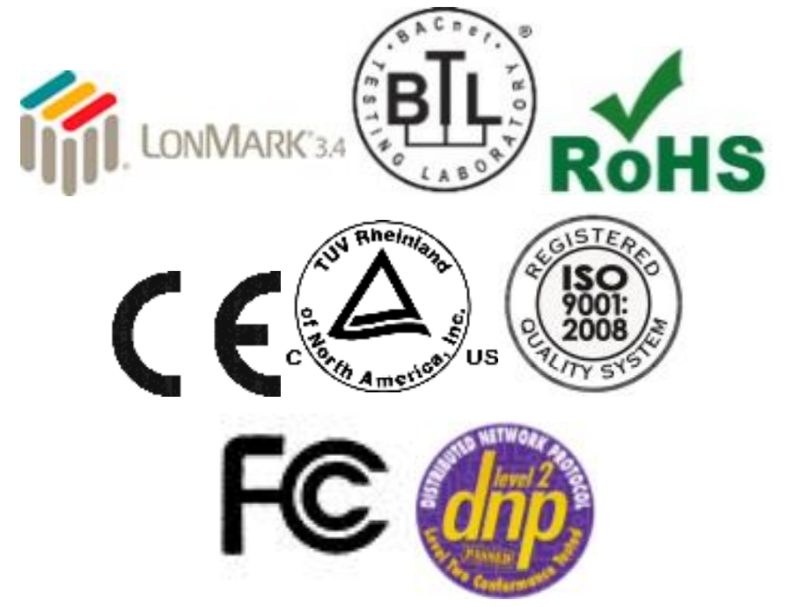 Servers are assigned station addresses that range from 0 to 31. The Client does not have a station address. If more than 320 points are needed on the I/net network an alternative is for the customer to purchase the 7797-15 Modbus RTU interface card. This interface card will allow 2000 points to be passed to the I/net Sublan. This will change the application from I/net to Modbus, but it will work.